Once you get to earth orbit, you’re halfway to anywhere in the solar system. I have been tutoring math and physics at the local library for the last few months. As part of this tutoring, I have been looking for good graphics that illustrate basic science concepts. One common high-school physics problem involves computing the tension in ropes tied to an anchor by a pulley. Figure 1 is a graphic that nicely illustrates the tension between two ropes connected to an anchor point by a carabiner. 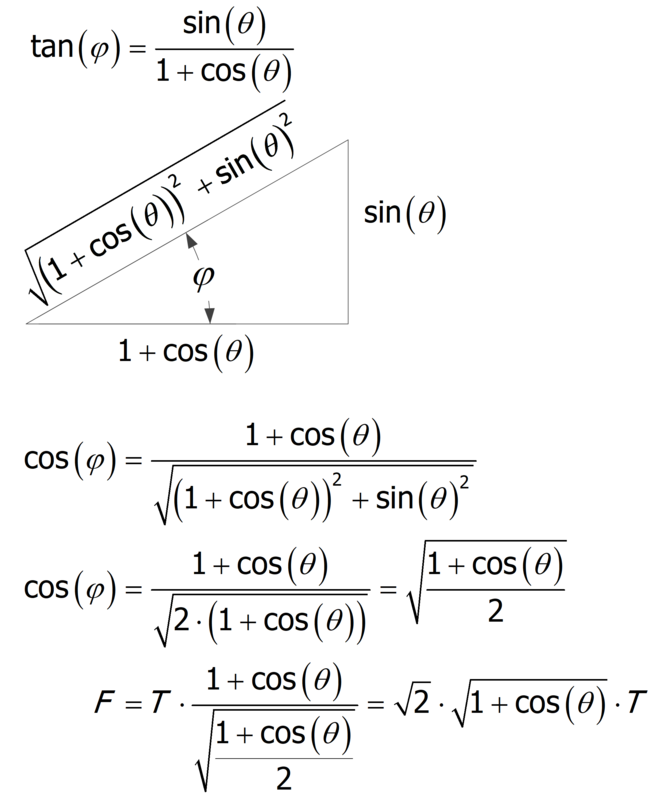 In this post, I will show how to derive a couple of formulas for the various angles and forces shown in Figure 1. The derivation assumes that there is no friction associated with the carabiner, which is not true. This idealization would be better if the carabiner was replaced with a pulley. I find infographics like this useful because I frequently use ropes, pulleys, and winches at my cabin to perform tasks like removing tree stumps, pulling docks out of the water, and helping folks whose cars are stuck in the mud. 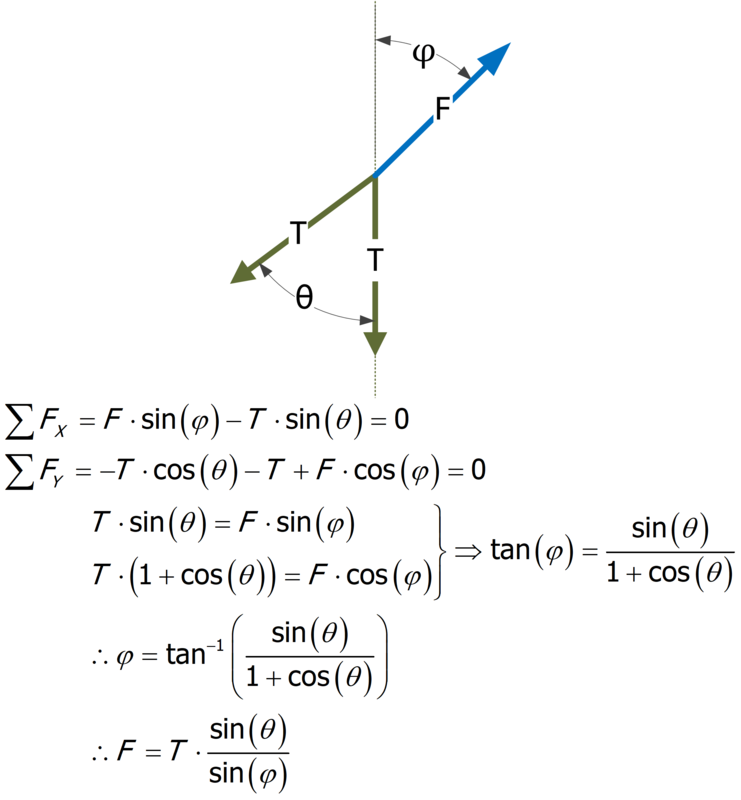 Figure 2 shows a free body diagram of the rigging and my derivation of the angles and forces involved. Figure 2: Free Body Diagram and Derivation. I created an Excel Workbook that computes the values shown in Figure 3. It also computes the angle of the gray rope in Figure 1, which is not shown in that diagram. 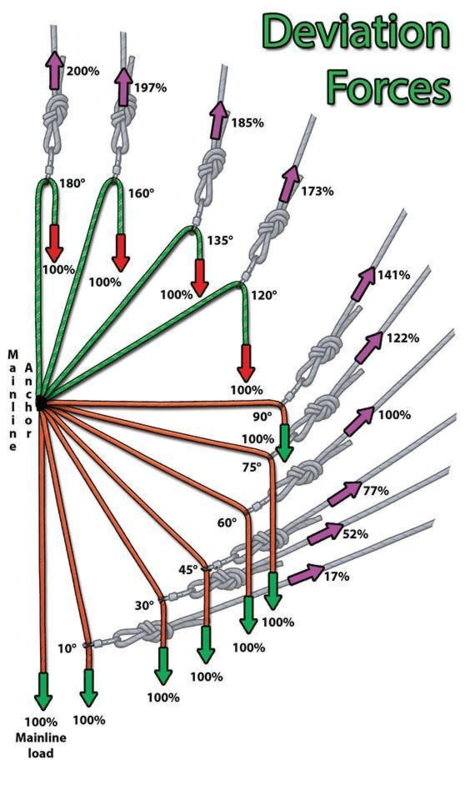 Figure 3: Excel Table of Rope Tensions and Angles. Assume that φ is very small rather than 0. The classic approach for an engineer and the one I typically use. Derive an alternate expression that removes the discontinuity, which is shown in Figure 4. 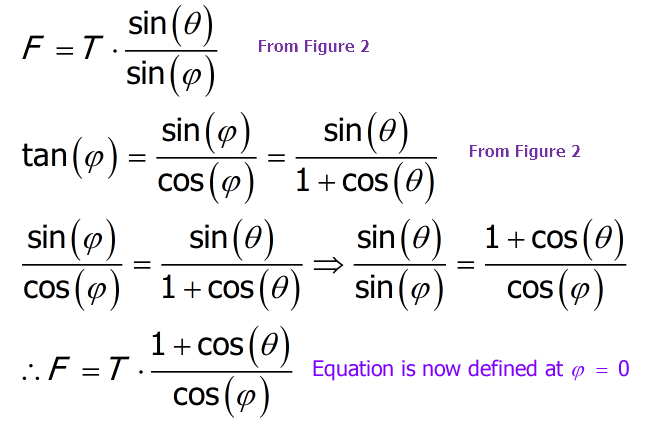 Just eliminate φ from the equation for F as shown in Figure 5. Figure 4: Derivation of Alternate Solution without a Discontinuity at φ =0. Figure 5: Formula Eliminating Φ. This entry was posted in Cabin, Construction, Daily Math. Bookmark the permalink. Regarding the quote earth orbit is demonstrably impossible. It would have to break known, testable, repeatable laws of projectile motion. If you drop an object and propel an object from a given height the time needed for both objects to reach the ground is equal. This is because gravity acceleration is unaffected by horizontal motion or speed. Its completely independent. Since the " orbiting" iss is 240 miles up it is still subjected to 89% of earth gravity. Therefore we can figure out that it would hit the earth in roughly 4.9 minutes if dropped from that high. Since we know that horizontal speed doesn't affect vertical acceleration due to gravity then its safe to assume there is not a football field sized craft magically speeding around the earth. I heard the quote on the NASA podcast by a NASA expert. If you wish to beat the quote to death, here is a NASA forum discussion on this very topic – some agree with Heinlein, some don't. These folks know far more about orbital physics and economics than I ever will. The orbital speed of the ISS is 27600 km/hr, which is 7667m/sec and thus is qualified to remain in orbit. So are you saying that vertical acceleration of gravity is negated by horizontal speed and not independent? The orbit of the ISS about the Earth is only a specific example of a body under the simultaneous action of inertial motion and gravitational attraction. Thus the Moon is falling towards the Earth and the planets are falling towards the Sun but luckily their concurrent horizontal velocity component prevents collisions. Isaac Newton carried out a similar "thought experiment" to yours, when you imagined the ISS being suddenly deprived of its horizontal velocity and hence falling to Earth. He did the same thing and worked out that the Earth and Moon together would fall to the Sun in 66 days and 19 hours, Venus in 40 days and Jupiter in two years and one month! So are you saying you don't think that gravitational acceleration is independent of horizontal motion? All experiments I have seen tend to prove otherwise. Are orbits achievable at any altitude? As long as they go fast enough? The motion of any any orbiting satellite was recognized implicitly by Galileo as the vector sum of "...a uniform horizontal motion compounded with a naturally accelerated vertical motion...". We can abstract either of the components but the actual motion is composite of both. It is analogous to Mark's statics calculation in which he resolves a diagonal force into vertical and horizontal components. The actual force is then the sum of vectors H and V, but H without V or V without H is meaningless. Moon: R = 385000 km, T = 27.32 days. ISS : R = 6776 km, T = 92.68 minutes. You could also consider geostationary satellites which hover above a fixed point in the Earth, so T = 24 hours and to achieve this R = 42160 km. T squared divided by R cubed should be the same for each satellite. I'm not sure that you are justified in assuming the forces in the two parts of the rope are of equal magnitude. It assumes that the two parts are connected via a frictionless sheave or pulley, whereas in fact there would be friction losses so it would be better to anticipate that by allocating a different symbol for the vertical force, say W if we are looking at a scheme to lift a weight against gravity. In SI units the force W=-mg, where m is the mass in kg and the units of W is newtons. Is the old imperial system still taught in America, using lbf or ton as a unit of force? Incidentally, today the standard for the kilogramme is a cylinder of metal kept in a glass jar in France but tomorrow (16 November) it will be re-defined with reference to Planck's constant so that four of the seven basic SI units will be defined by physical constants. I normally would assume that tensions in each rope are different. My focus was on duplicating the results shown in Figure 1. You are correct about the frictional forces, particularly with a carabiner. I actually do not know what is taught in school today. All of my engineering work is done in metric. When I go home, my units are a mix. For example, I love to bake and that is always in metric. My woodworking is definitely a mix. Wood stock is imperial, but hardware is metric. My carpentry work is all customary units. I did not know that the kg standard was being redefined tomorrow. The whole area of units was a stale area until relatively recently. I had read that the metrologists wanted to eliminate all physical standards – the idea was you could send the definition of the standard by email. It sounds like they are there. Part of that effort involved making a sphere of nearly pure silicon (link).